You will find news and announcements of interest to Arkansas educators below. If you'd like to share your news, please contact Claudia at Claudia@economicsarkansas.org. Thank you. Apply for 2015-16 economic education grants, get ready for the 2015-16 Stock Market Game. Register now for our summer 2015 professional development workshops. Congratulations to the 2014 Bessie B. Moore award winners! The Global Economic Education Alliance and several partnership organizations are hosting an Economic Education Teacher Study Tour to Peru during spring break in March 2015. For more information and an application, click here. Experience "Economics for All Seasons," a new addition to our Educational Resources page. (Scroll down just a tad.) You'll find economic and personal finance lesson plans and resources based on the themes of the seasons. Check out "A Harvest of Economic Activities" and " 'tis the Season for Economics." Economics Arkansas is now accepting partnership agreements with school districts. 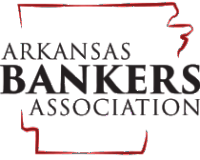 Benefits include customized professional development, training to meet Arkansas History and Technology requirements, priority notice of upcoming PD opportunities and conferences, and refund of certain registration fees. Stock Market Game training and registration now underway. Apply now for an economic education grant of up to $750 for the 2014-15 school year. Deadline is Sept. 19. "Show Me the Money," a short presentation about how to write an Economics Arkansas Economics Education Grant application is now available online.